Players and officials called for online trolls to be outed on Monday after an Australian Rules star was branded a “monkey” as racism again reared its head in the popular sport, days after a sexism row. A post on the official AFL Instagram account of Channel 7 — a broadcast partner — asked fans if the indigenous player should be suspended, to which some responded with racist language. The abuse came just days after leading AFL women’s player Tayla Harris slammed online trolling of an action shot of her kicking a goal as “sexual abuse”. She lashed out after the athletic image of her playing for the Carlton Blues attracted a series of derogatory comments on social media, with her stance winning widespread support. AFL Players Association chief Paul Marsh called for changes to remove people’s online anonymity. “More hatred directed at one of our players. This ongoing issue needs to be addressed at the source,” he said on Twitter. 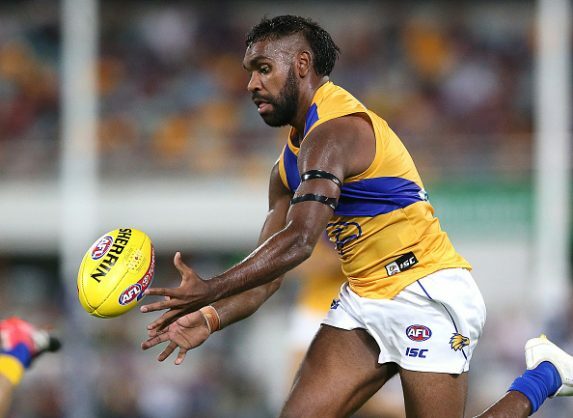 Ryan’s West Coast teammate Nic Naitanui tweeted that “these fools need to be held accountable at some stage” after posting screenshots of the offending comments to bring attention to the issue. In the wake of the Harris controversy, AFL chief executive Gillon McLachlan admitted it was difficult to identify offenders who attacked athletes on social media, calling it “a challenging space”. The West Coast Eagles are based in Perth and Western Australia Premier Mark McGowan called on the operators of social media platforms to do more to prevent the spread of derogatory comments. “Vile, sexist, nasty, sexist, horrible commentary posted by people who think they can get away with has gone on too long. It’s time it stopped,” he told broadcaster ABC. Aussie Rules, Australia’s biggest spectator sport, similar to Gaelic football but played with an oval ball, has been blighted by racism in the past. Many believed it was racially motivated and stemmed from him taking exception to being called an “ape” by a spectator in 2013.